Jon’s fave flavor combination is mint choc chip. And why not? It’s amazing, when it’s done right. You need just the right amount of mint to pack a punch, but not leave you feeling like you ate a tube of toothpaste. Well, these definitely get it spot on! We found this amazing Gelato Fiasco tub at Seven Eleven, and we had to give it a go. 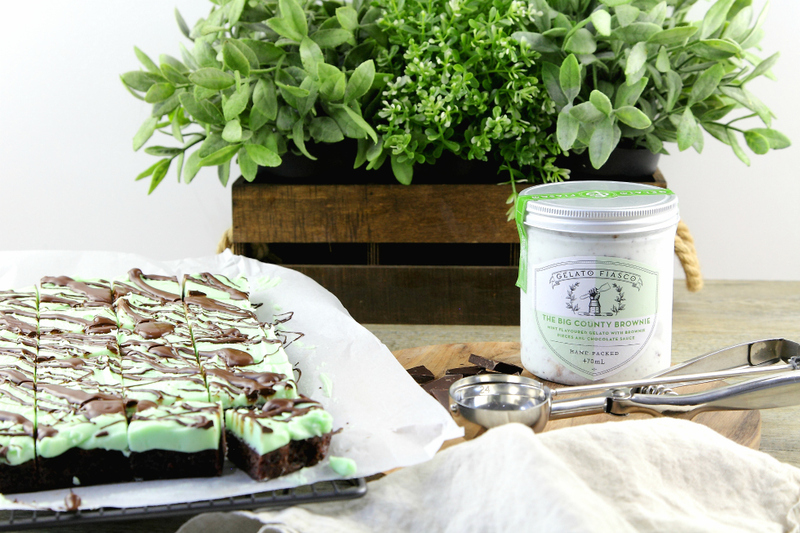 Well, let’s just say, mint chocolate ice cream just grew up! This is not your ordinary choc chip. 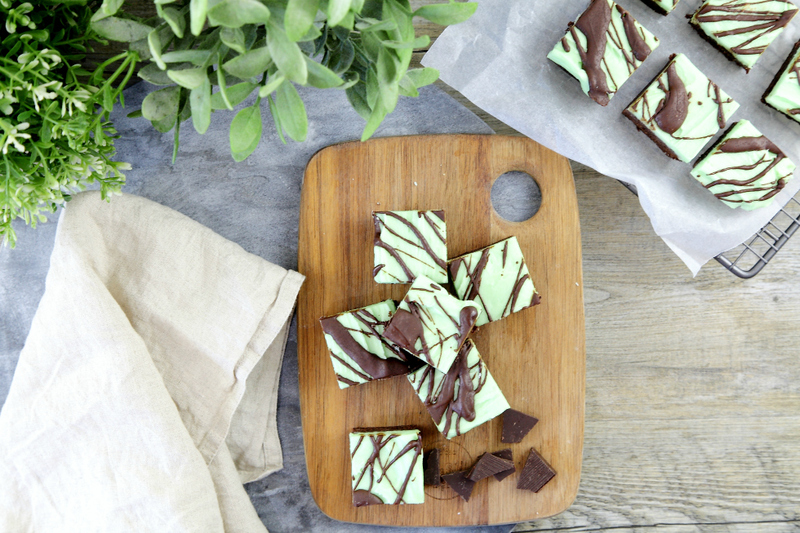 It’s peppermint gelato, packed with brownie chunks and chocolate sauce. Hello! So we gave it a go, and wow, the flavor and texture are just spot on. You know what I’m like when I try something I love, I have to bake something killer to try and top it. 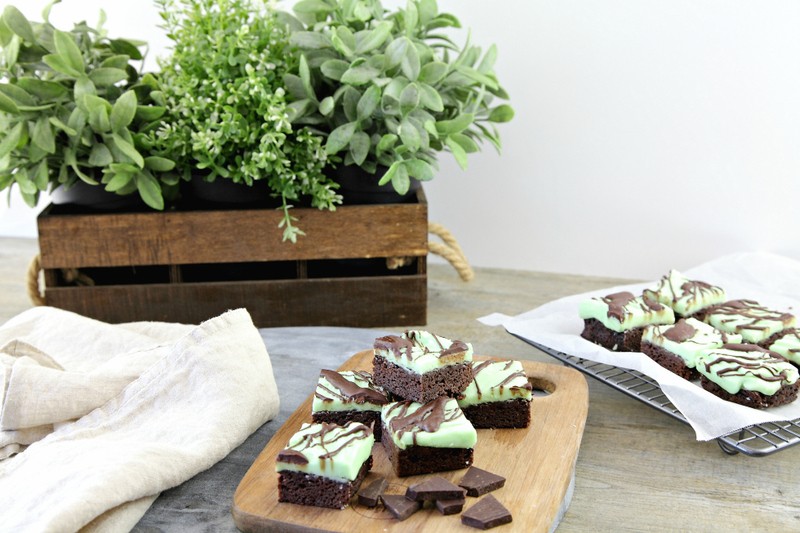 So I took my traditional brownie recipe, and added a peppermint slice layer right on top. Bam! Now I don’t know which one is better, but I can say all four of us grabbed a bowl full of this gelato, and piled brownie chunks on top, and it’s was pretty A-mazing! Check out the recipe below. Pure into pan, and bake for 25 - 27 mins, or until the top springs back slightly when touched. While that is cooling, melt shortening in a microwave and allow to cool. Sift icing sugar, add essence and most of the milk. Stir in the shortening, with a spatula. Add the food colour to the mixture, and stir. Add any remaining milk, and check to see that the filling is spreadable. Add more milk if necessary. Place the brownie back into the pan, and top with peppermint filling. Chill for 20 minutes. Melt chocolate and drizzle over the top of the brownies, and chill again for 20 minutes. Remove the brownie and place on a chopping board. Cut into 20 brownies chunks.